Aaron: What made you start this agency, or if you didn’t start it, what was the origin of it? Tyler: So my father started a firm 30 years ago called New Clients Incorporated. I’m 29, so literally before I was even a twinkle in my mother’s eye, I’ve been learning more passively about accounting, marketing, and salesmanship through my young years than most people could absorb actively in the later stages of their life. I joined the NCI team as an account executive helping to implement the New Clients Incorporated techniques all around the country, and I had several hundred clients. As my father got into his golden years, he’s transitioned more into accounting practice sales, and a lot of his techniques were based in cold calling, which was obviously very, very common in the ’80s and ’90s, and even in the early 2000s. After my experience inside of New Clients Incorporated and also running my own accounting firm with my father, we started our own firm and we added a $200,000 stat firm in a two-year period before ultimately selling it. I realized in that firm when I started to do more digital marketing alongside the cold calling marketing techniques that this can be done easier, with less headaches, and get better clients as a result. And I took that experience, built upon it, and ultimately started our agency as a result. Aaron: What kind of success have you seen in this short period that you’ve been running ADcountants? Tyler: One of the coolest things that we’ve been able to kind of recognize in the marketplace is that there’s a certain level of players that are able to afford agency services. And the ones that are willing to pay for services, they normally have a construction related around time, right? They may have some money to invest, but they may not necessarily have the time to commit to kind of DIY it or even in a done-with-you style. So there’s really kind of two camps of clients that we work with, and the results they get obviously are going to be radically different. We end up getting about 3% CTR on our agency level clients. And it’s not so much that I’m saying one or the other; both are necessary for a comprehensive digital marketing strategy, right? But when you only have the opportunity to pick one of the two because both are going to cost time and/or money—you can’t get around investing time or money—and usually it’s both—in order to have the opportunity to speak to new leads. 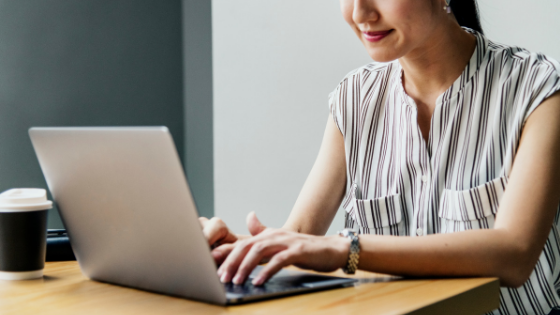 Now the organic side of things, you’re going to be investing both time and money to have a chance to get onto the first page of Google in the next six to 18 months, optimistically, according to SEO experts. Long story short, we found a very compelling reason for us to pursue Google Ads aggressively, and what we saw was the industry average for click-through rate, so the number of people who see your ads versus the number of people who click on them, was about 1%. So out of every 100 people, 1 person will click on your ad. Yes, for PPC, you only pay when they click. I get that. But you want that number to be higher, right? You want to have more opportunities. So we ended up, actually, tripling that industry average, so we end up getting about 3% CTR on our agency level clients. So that’s what we do for agency clients. And then on the flip side, if you’re kind of in a DIY where you don’t have a whole lot of money to spend, but you’ve got some time to invest, we set up this essentially 100% free challenge. The only caveat is you have to have the right tool for the right job. And that tool, of course, is ClickFunnels. We do make an affiliate commission on the service subscription fee as it relates to using that tool. But all of the guidance that we tell you to set up your funnel, set up your AdWords, set up your social media campaigns, all that is 100% free. Aaron: So you give people an option to, like you said, do it themselves and not necessarily be tied or tethered to an ongoing sort of a paid strategy. Tyler: Yeah. And, you know, the truth is they have to pay for the right to access our time and we’re only a two-person team, and I kind of like it that way. It’s me and my lovely lady, life partner and business partner. Always in that order, Aaron. It’s never business partner and life partner. Life first. Aaron: That sounds like that might be rehearsed. You may have had to do that. Tyler: Well, yes. I may have been reprimanded once or twice, but that’s the way it’s got to be. And, again, you know, time is our most valuable asset. It’s limited. And for the people who want better results that have no time, then they have to tap into ours and that obviously will cost money. But for those of us who don’t have that, and that’s the vast majority of the market, we wanted to make sure we gave them all the tools they needed to succeed because there’s so many other coaches or—I hate the word guru, but gurus—self-prescribed gurus out there that are charging thousands and thousands of dollars upfront for these precanned, stale courses. And that really kind of like started to bother me. 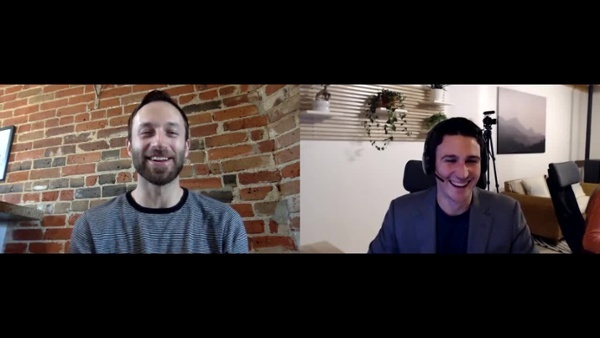 So we created something that’s really unique and focuses on not trying to tell accountants that they’re a commodity, but that there is a uniqueness that’s associated with whether it’s how they niche, the type of software platforms they choose to utilize, whether that’s ClickFunnels, whether that’s Botkeeper. There is a uniqueness that each firm needs to be able to emphasize, and we just try and help them focus on that inside of the 100k challenge. Aaron: Can you talk to me a little bit about your onboarding process or what it’s like for a new client to come on? How do you assess where they’re at, what their needs are, and really what the first steps are in scoping out their success? Tyler: I think the most important thing that we do that really kind of separates us from other agencies is, even though we are inside of a niche, and a lot of things will be similar or the same, I don’t like to make any assumptions when I come onboard for a new client. I think when you start making those assumptions and when you start to kind of fall into a rut ... and that’s not to say that systems don’t have their place, they absolutely do. But I don’t want to scale for the sake of systems at the expense of the value I can deliver to my clients. But once we start getting into the actual flow of things, I want to take stock for where you are as a firm. What are your strengths? What are your weaknesses? What do you have as assets that you’re not currently maximizing? What are your software proficiencies? What software tools do you need? I got to get a really complete picture in order to do my job the right way, and what I normally will find out is that there are so many assets that they have that they’re not fully utilizing or maximizing, so I look for the areas in which we can just have an immediate impact without big cost or video production or creating all these digital assets—your free downloads, your PDFs, new funnels. What is it that you currently have that we can just make sure you’re actually making the most out of? There’s always going to be a human element, and there’s always going to be a machine element. Aaron: Let’s talk about automation and machine learning, AI, and how that is impacting not only the marketing space, but also the accounting space, because obviously at botkeeper that’s our main focus: making people’s lives easier through AI and machine learning. But how has that impacted what you do? Tyler: Well, that’s a great question and I think that the best way that I can explain this is through our interactions with Google Ads. With machine learning, it doesn’t come out of the womb as an Einstein, right? You have to help it to learn. And I think that’s one of the biggest things that I need to express very early in an agency style agreement or with the DIY style, is that this gets better the more you do it. And when it comes to AI and machine learning and Google Ads, yes, Google is going to do the best job that it can to give you the best results possible because that’s their revenue model, right? They live on your willingness to continue to spend ad dollars with them. That’s where they make the vast majority of their money, and if it’s not getting smarter through both the way they do it and the way you interact with it, there’s a problem. I think it’s just a combination of there’s always going to be a human element, and there’s always going to be a machine element, whether it’s fulfillment on botkeeper’s side or whether it’s how the human interacts with the particular tool. And I love to focus on the human element. I can’t necessarily determine what Google does. I can’t determine what botkeeper does, but I can make sure that the people on this side are motivated enough to understand that if you keep at it, not only do you get smarter, but it gets smarter, and you both end up with significantly better results as a part of the process. You can’t just come and expect it to be a super success overnight. You have to be willing to work it. And some people just don’t get that. And we can’t do anything with them. Aaron: What about the future of accounting or advertising for accounting? In particular related to AI, machine learning, but also maybe the types of problems that you see, trends maybe that are emerging? Tyler: There are a few trends that I see that I’m a little concerned with, one of which is this bull rush into value price billing for people who have not ever actually had experience running their own firm. They see this allure of “charge more for the same type of service,” but they don’t necessarily understand what value billing is, and there’s a lot of people pushing that. So I think that, 1—that’s going to cause the market to constrict. 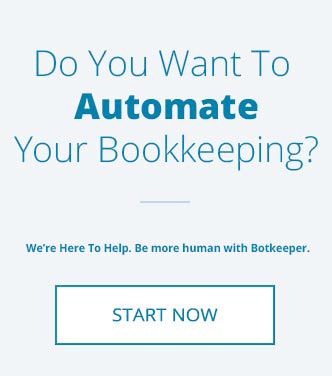 It’s also going to increase the competitive nature of pricing around accounting-based services, and that to me kind of leads into why I’m very interested in botkeeper for my clients and to help accountants embrace this technology. Margins are going to continue to get smaller the more automation comes into play, and I think there are going to be less players over time. The market is not going to expand. It’s going to contract as a result of this. Now, the question is how quickly are you going to be able to adopt and adapt to the changing environment, and adopt the tools that allow you to evolve? ClickFunnels is one of the tools that’s going to allow you to evolve so that you can continue to compete in the digital marketing space. 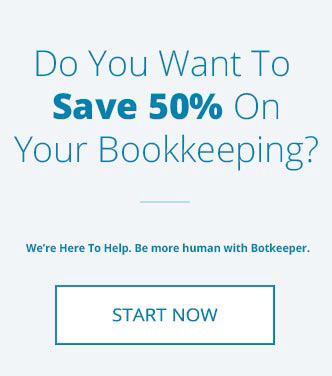 Botkeeper’s the type of tool that’s going to allow you to price competitively and scale your business as a result. Because we all know you don’t want to touch that, but the question is how do you keep it done and then allow compliance to be a part of your value stack that attracts new business? Those are two of the major things that I see on the horizon. 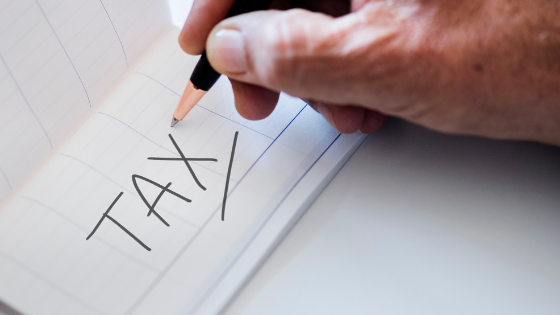 And the final point is that if the market is contracting, it’s contracting because the idea of accounting as a commodity is most likely going to happen, which means we’re going to be left with more niched-up firms that are specific into one industry type versus saying, “I’m for small businesses.” Small businesses is no longer a niche. Aaron: At botkeeper, one of the things we tell people is that you’re able to increase your client base and your workload. You can go from working with 10 clients to working with 20 clients on a monthly basis after you get setup and get going. And it’s not because the robots are doing everything for you; it’s because it’s freeing up your time, and really, like you said, allowing you to increase your margins quite a bit. So, I totally agree with you. The ability to adopt and adapt is really important. Finally, I just wanted to know if you had any particular requests or anything as far as how somebody would get started with ADcountants. Tyler: The simplest way for me is honestly through LinkedIn. I really believe in the power of that platform. And, Tyler S. Clark, that’s my middle name, Spencer. So Tyler S. Clark is the easiest way to find me. For more information on Tyler, ADcountants, or the services they provide, reach out to Tyler S. Clark on LinkedIn or visit their website at adcountants.com.